Temperature above 15 degrees Fahrenheit? Check. Dry roads? Check. Nothing going on at work, so I can spend 20 minutes warming up the engine? Check. A car with no windows or heater, but free from the tyranny of having a roof? Check. 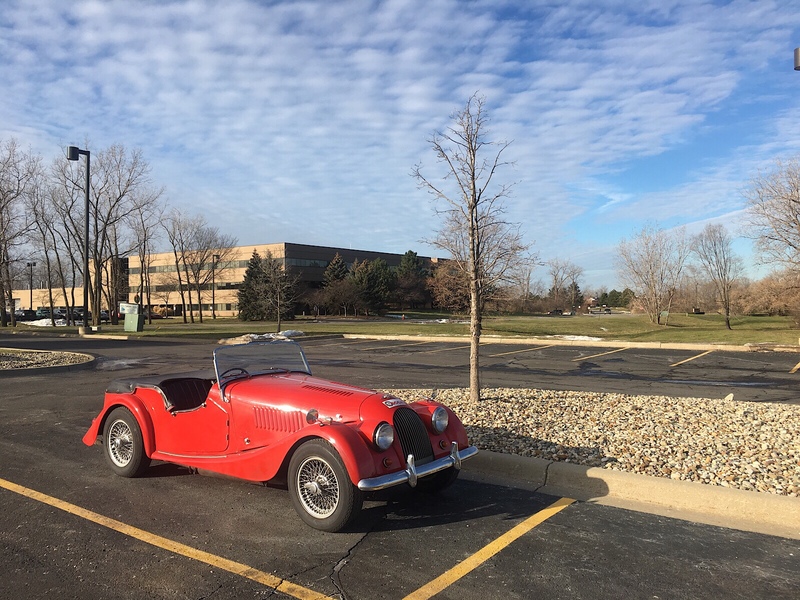 Today’s drive the Morgan to work day! Copyright © 2019 John Jay Li: Cars. Powered by WordPress and Stargazer.